I’m working on a project were I have to build a network of battery powered sensors over a territory the size of a small town.The sensors will monitor power consumption, temperature and humidity in energy poor households. Often the families in that situation can’t afford an internet connection at home so WiFi is out of question. GPRS would be an option but lately other radio technologies have come to my interest. I’m a core member of The Things Network Community in Catalunya. LoRa is one such technologies. The (soon) availability of affordable gateways and the open nature of the software stack (from gateway firmware to backends to handlers) make it a great candidate to build an open, libre wireless sensor network that can cover large territories with few gateways. Someday soon I’ll talk about the gateways, backends and so. Now I’m focusing on nodes. 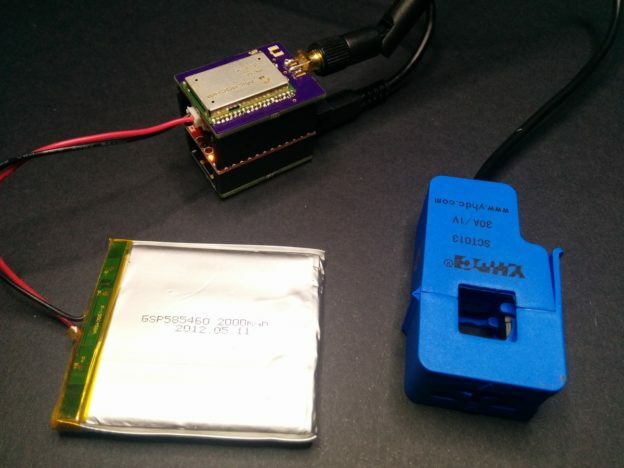 The idea is very similar to my previous post about a Moteino energy monitor node with an RFM69 radio, but using a LoRa radio and LoRaWan protocol instead. There are several options here. The cheaper and more common is to use a HopeRF RFM9X LoRa module and implement the LoRaWan specification in code. There are already libraries for arduino and alike that implement the LoraMAC specification almost at 100%. But for my first try I used another approach. 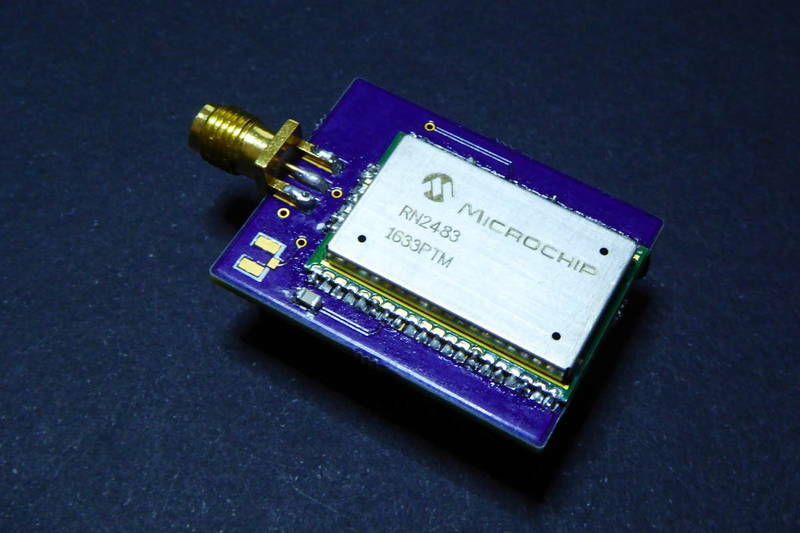 Microchip is selling a serial module that implements the full LoRaWan stack and communicates with your favourite uC through serial. 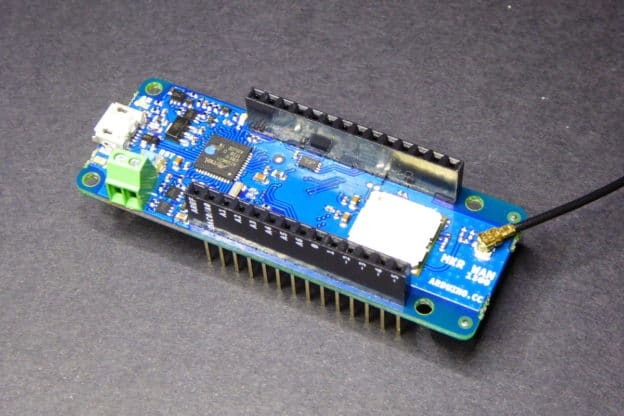 The Microchip RN2483 (in the EU) is very easy to use and it’s price is not very different from HopeRF modules (both are about 15 euros at DigiKey). 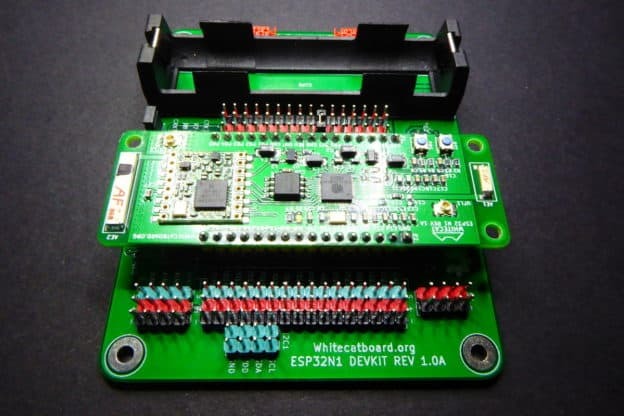 It’s the same module that the people at The Things Network have used for their The Things Uno prototyping platform (and Arduino Uno with a RN2483 module). Question is: is the RN2483 a good choice for a battery powered LoRaWan node? This entry was posted in Code, Projects and tagged energy, hoperf, lora, lorawan, low power, microchip, moteino, rfm95, rfm9X, rn2483, shield, sleep, the things network, the things uno, ttn, ttncat on December 17, 2016 by Xose Pérez.